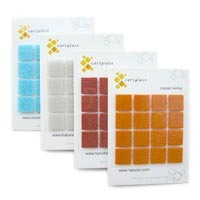 Kit includes one swatch card each of 43 solid colors. Individual swatch cards are also available for $1.25 each. Click here to order.